Listen To K. Michelle's New Single "He Gets Me"
The two-day festival returns to Philadelphia for a sixth year and it looks great. 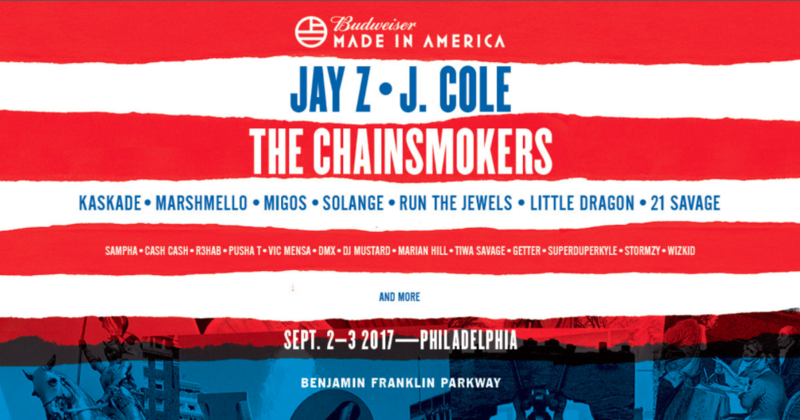 Headliners Jay Z, J. Cole, and The Chainsmokers are joined by the likes of Solange, Migos, 21 Savage, A-Boogie, WizKid and many more artists. DMX is also included on the lineup, however he just checked into rehab. So we’re hoping for a speedy recovery so X can kill the stage with all the other great artists. The show is going down on Labor Day weekend September 2nd and 3rd at Benjamin Franklin Parkway in Philadelphia, PA. For those unable to attend, you can stream the festival live on Tidal. Tickets will be available to purchase beginning Tuesday, May 2, 2017 at 2 PM (ET) at Tidal.com/MIA. TIDAL is offering a limited time presale where members are eligible to buy one ticket and get one free. Citi cardmembers get access to presale tickets beginning on Tuesday, May 2nd at 10:00am (ET) through Thursday, May 4th at 10pm (ET). General public can purchase tickets beginning Thursday, May 4, 2017 at 10:00 am (ET).